Honda Racing uses Amber Composites tooling and component prepreg to prepare the NGTC Honda Civics to race in the BTCC series, starting in April. 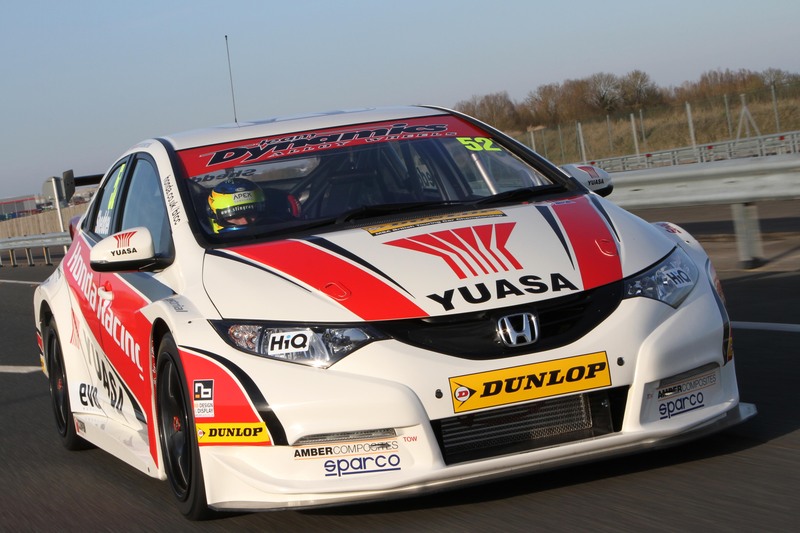 Technical collaboration with Amber Composites is of great benefit to the Honda Racing team", says Peter Crolla, Team Manager, Team Dynamics Motorsport Ltd.
Amber Composites announced that it has been chosen as the prepreg provider for The Honda Yuasa Racing Team British Touring Cars. Honda and Team Dynamics Motorsport, who manage Honda Racing, just unveiled the car for this year’s British Touring Car Championships (BTCC). The race car uses Amber prepreg for a wide variety of structural and body parts, including the front crash structure, side impact panels, door panels, under body floor and more. “Continuing the technical collaboration started in 2011 with Amber Composites is of great benefit to the Honda Racing BTCC team. It allows us to continue to use their wide range of high-quality composite materials throughout the production of our car and associated parts, and lets us call upon Amber’s experience for advice on product usage in patterns, tooling, and the production of parts themselves,” said Peter Crolla, Team Manager, Team Dynamics Motorsport Ltd.